Below, Barbara shares best practices and lessons learned from her work within and alongside veterinary clinics nationwide. How did you get your start in inventory management? I worked as a vet tech for 10 years before I moved into inventory management. It’s where I first came to know CUBEX. I started out managing inventory for just the office I was in, but as we implemented CUBEX, I could manage all four because of the remote capabilities the system offered. My job actually got easier as the responsibilities grew because of the increased efficiency and optimization with the CUBEX implementation. 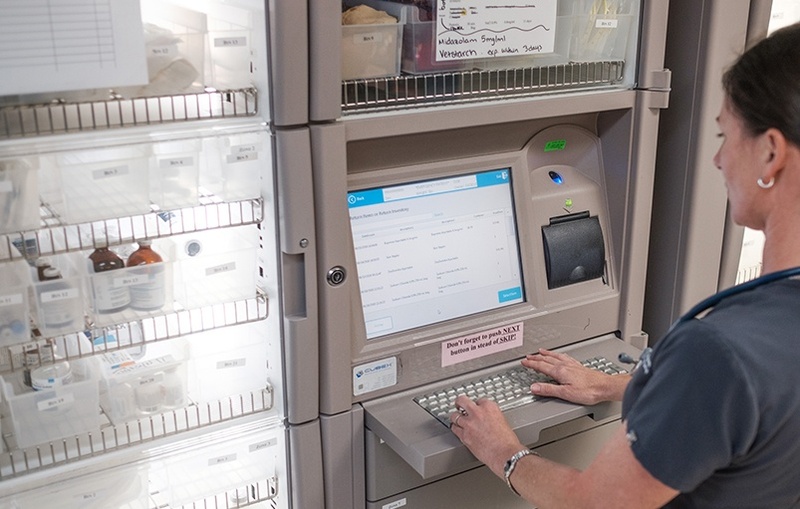 Why is the inventory manager role so important in a large veterinary hospital system? Inventory is the second largest spend in a veterinary hospital. Sage Centers recognized the impact of inventory management on their bottom line—I reported directly to the CFO. How has the industry's perspective on inventory management changed since then? Larger corporations have always recognized the importance of inventory management. Independent hospitals like Sage are now recognizing the opportunity to improve margin and revenue as well. Lots of smaller hospitals struggle due to the fear of running out, and they’re unable to pull usage information. I enjoy working with them to put a system in place. How did you make that change in the clinics you managed when you first worked with CUBEX? We needed to learn about inventory conceptually. There aren’t a lot of good veterinary standards and best practices when it comes to running the business. We had to work through it, gather real data and then challenge ourselves to make it better. There is a lot of good information in business publications like Forbes and Entrepreneur magazines about inventory management [see here, here, here, here], but the veterinary market has very little available. What made you decide to make the move from veterinary practice management to CUBEX? I loved the system, and had it running so well as a CUBEX administrator at Sage that when I saw the opportunity to move into account management, I jumped at it. I was interested in taking on a more technical role, working with the equipment and software. It was an exciting new challenge. I enjoy working with clinics and supporting their efforts. Though the move from veterinary practice to CUBEX was a shift in mindset, I still have a client-facing role that allows me to help clinics improve their practice. What’s the most challenging part of your work today? Managing expectations. We help educate clients on inventory management best practices for their clinic from early discussions through implementation. We offer support for the change management that needs to happen for a successful implementation. They know this is the right choice for their practice and their patients and it will improve the standard of care. We're there to reaffirm that. I enjoy helping clients manage the change and training their staff. The bottom line for all of us is patient care. It’s wonderful to see it come to fruition—to be involved in the whole process from sales to finance, pre-implementation to implementation, and to see the impact it has on the practice and standard of care. Do you want to learn more about bringing CUBEX into your practice? Request a consultation to speak with one of our experts. Barb will be sharing more of her insights and best practices for successful inventory management. Subscribe to the blog or check back for more updates.